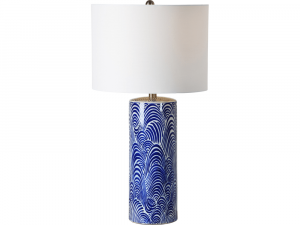 Bring home wispy strokes of blue and white and add a tranquil essence to your home with this serene table lamp. 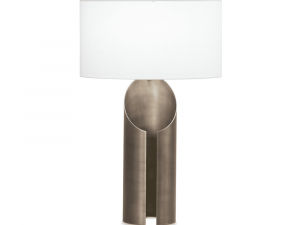 Stray away from tradition and indulge in the unique construct this beautiful lamp has to offer. 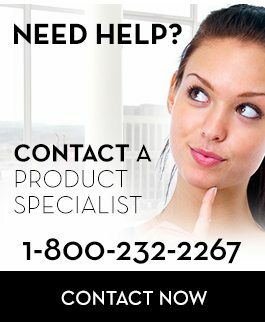 Cord comes out of top back of cylinder. 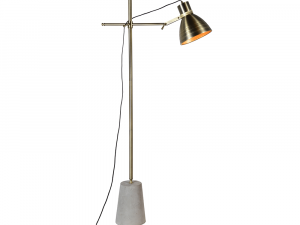 Perfect for the urban industrialist type, this studious floor lamp is the perfect way to add that sophisticated lofty feel to any room. Crafted from metal and concrete. Max 40W E26 A bulb. 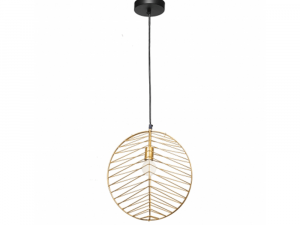 A classic design tailored with modern styling makes this pendant light a glamorous addition. Crafted from polished aluminum wire. This ornamental silver leaf wire drum pendant will brighten and mend with any style of room. 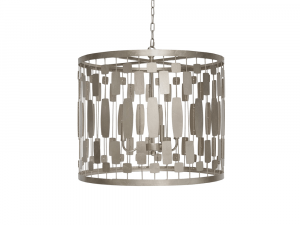 With 3-light cluster for 40w bulbs, the pendant comes with a 3′ silver chain and canopy. 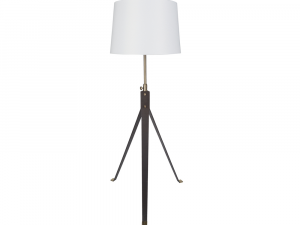 Add dramatic lighting to any room with this minimalist style floor lamp. 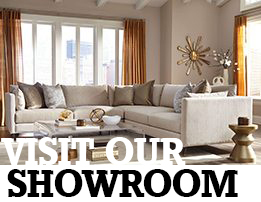 By placing it beside or behind a sofa, you can create an ambiance that’s beautiful and functional. 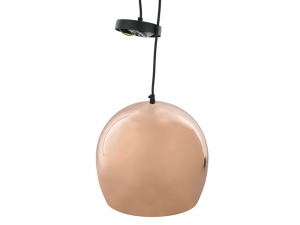 Precision craftsmanship lends this perfectly shaped pendant light the fluidity of a water droplet, offering shear urban style with a hint of elegance.